Over the last few years I’ve tried so many DIY projects. 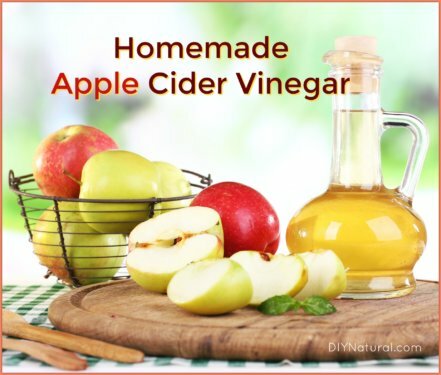 Some have been very successful – my homemade healing balm still blows me away with how well it works. Some, not so much. 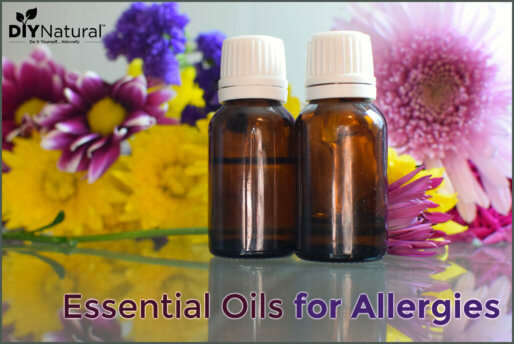 Did you know that it really burns when you use straight essential oil for deodorant? Just take my word for it. Despite the numerous lessons I learned the hard way, I love the DIY lifestyle. So much so, that I take any chance I can to spread the DIY love and show others just how fun and rewarding this lifestyle can be. If you’ve acquired a lot of knowledge and experience with the DIY natural lifestyle, share it! There are so many people out there looking to get started, or add to their skills. Classes could be free or you could charge a small fee to cover the cost of materials. Or you could charge more and have some extra to fund your next project. You could teach classes at your local library, church or anywhere with room to hold a class. I have a local coffee shop with a small meeting area that I’ve used before, as well as a back room in a bookstore. Your home may even be the best place to start. One thing I love about DIY projects is that I usually end up with a lot more than I need at the moment, be it soap or jam or laundry detergent. Doing things myself is one way I save money, so I make sure to set aside plenty for my family’s use. But I’ve found that I also have plenty on hand to share with my friends and family. My love language is gifts, so I get a kick out of dropping by a friend’s house with a bag of garden-fresh herbs or a jar of strawberry jam. Our Christmas gifts are now mostly handmade and some of the favorites are laundry detergent, lip balm and homemade bread. Sometimes, they love my gift so much that they ask if they can pay me to make them more! Did you know there are people out there who don’t want to partake in the DIY lifestyle? Or maybe they’ve mastered a few projects and have no time/desire to do any more. After so many years of DIY as my way of life, I forget that’s the case. However, that doesn’t mean those folks don’t want handmade, non-toxic goods in their home. If you’ve mastered homemade soap or people keep telling you they wish Christmas would come sooner so they can get more of your strawberry jam, why not sell it? There are plenty of places to sell it online, or you could just do word-of-mouth sales with your friends and family. How do you spread the love by not doing something? You know those people who have no interest in DIY projects? They’re going to be even less inclined to try it someday if you give them a guilt-trip about not being as gung-ho about DIY as you are. Nobody likes to feel like they’re being judged for their choices, so make sure you’re spreading the DIY love in a way that makes people feel loved. Your joy may just pique their curiosity. Why start a new blog if there are so many out there already? Because nobody else is exactly like you. You could start a blog to share your DIY adventures with the rest of the world (or maybe just your mom). Share pictures of your successes (and failures), new recipes you come up with and your unique perspective on the DIY lifestyle. For me, blogging started as a creative outlet – I needed something like that as the stay-at-home mom of four. I soon found that I enjoyed sharing what I had learned with others and hearing about how it had helped them. Nothing like changing the world – one project at a time. 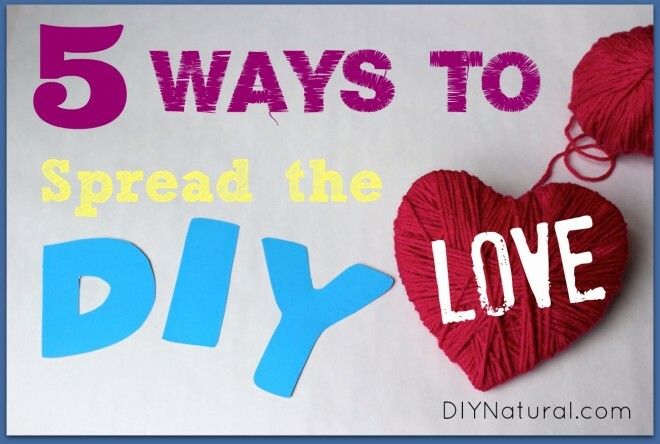 How to do you spread the DIY love? Once a year, my daughter & I do some DIY Pay-it-forward projects for our friends. On Facebook I post the PIF project and folks that are interested message us with their address. I pay for shipping. We make deodorant, salt soaks and scrubs. Last year we sent out 24! I am not quite sure what we will offer this year. Love you postings, keep up the great work motivating us all to be more frugal and green! 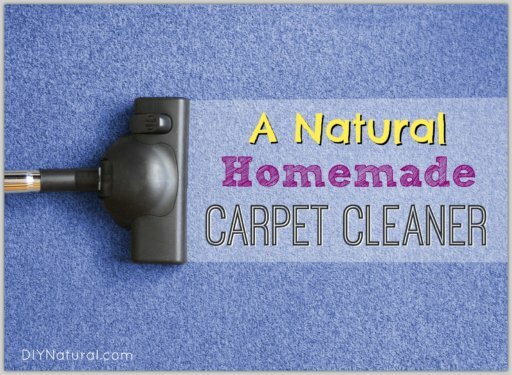 I have really enjoyed experimenting with DIY products. I’ve made my own laundry detergent, cleaning supplies, baking mixes, etc. When I shared all this with my brother, he laughingly called me a hippie. He soon changed his tune when his wife started making her own laundry detergent, then shared with him how much money she was saving them! My daughter is now making her own detergent and is loving the savings. I love this blog and look forward to new postings! I am new to the DIY and really loving it so far. I am on a committee that puts on an event called Eco expo in January or February. We have been looking for someone to have a booth for DIY cleaning products. I hope to have enough experience under my belt to do it next year, but wonder if anyone reading this is in the Memphis area and would like to help, or Betsy, can you help me plan this? Yes I agree. Live by example. Kids are getting use to knowing that we have no paper napkins at hour house and no paper plaates. wipes smell like vinegar and no plastic cups. when they ask why I simply reply I am trying to take care of the planet so when you get older it will be there.